Trolling for Landlocked Salmon on East Grand Lake: Every spring for the past 25 years, our small group of guys head up to East Grand Lake in Maine for a week of Landlocked Salmon fishing. 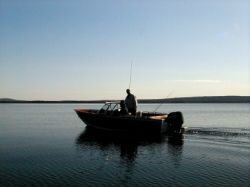 The annual fishing trip usually takes place over the second weekend of May and if the weather cooperates, we arrive at East Grand Lake just after ice-out; when the ice breaks up after the long winter freeze and is swept from surface of the lake by the prevailing winds. Ice-out triggers the rainbow smelt to begin their spawning runs towards the streams and brooks spilling into East Grand Lake. Rainbow smelt are the primary food source in the lake, and the hungry Atlantic landlocked salmon follow the smelt runs. Right after ice-out, the clouds of smelt gather near the surface of the lake, bringing the salmon within striking distance of trolling streamer flies and lures on lightweight tackle. 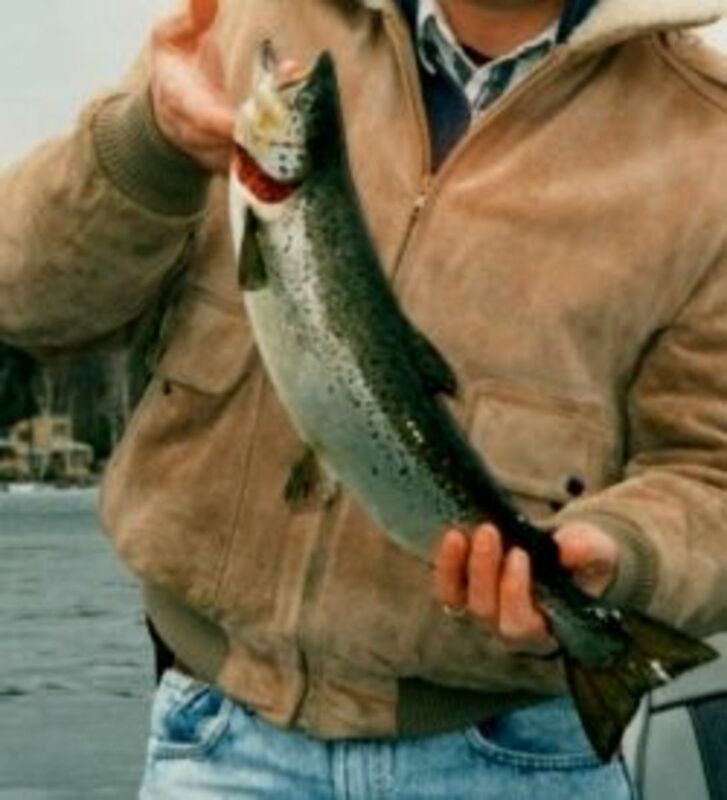 This makes early spring one of the best times of the year to fish for landlocked salmon. 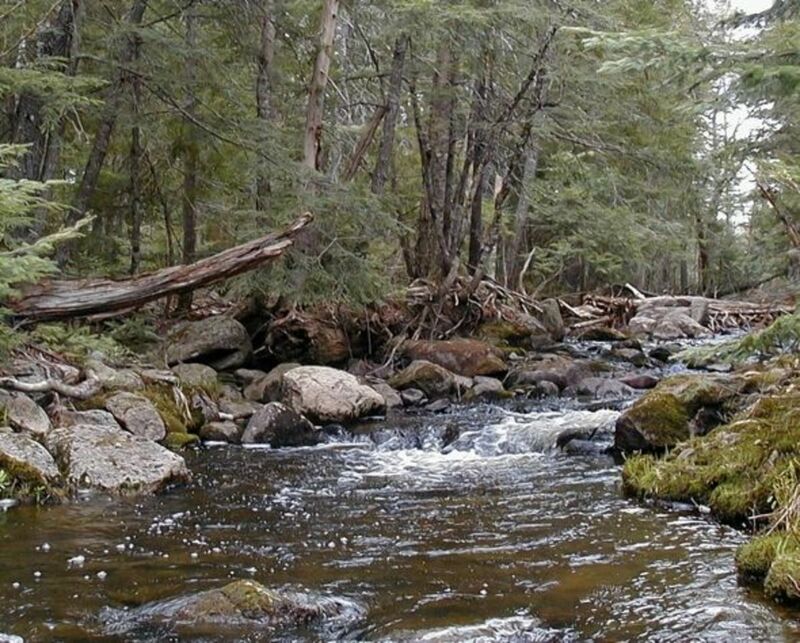 Landlocked salmon are a freshwater variant of the sea-run Atlantic salmon. Resembling silvery trout, landlocked salmon are raised in hatcheries and then released as juveniles in many of Maine's deep-water lakes. In many areas of the country with the right habitat and food source, landlocked salmon have become the primary game fish in the lake. Though their average size is 16" to 20" in length and weigh less than two pounds, they are very feisty for their size, often leaping from the water when hooked and tail walking across the surface. Large landlocked salmon can weigh over 5 pounds, with the big males developing a lower "hooked" jaw that turns upward at the tip. There are several effective methods of fishing for landlocked salmon. 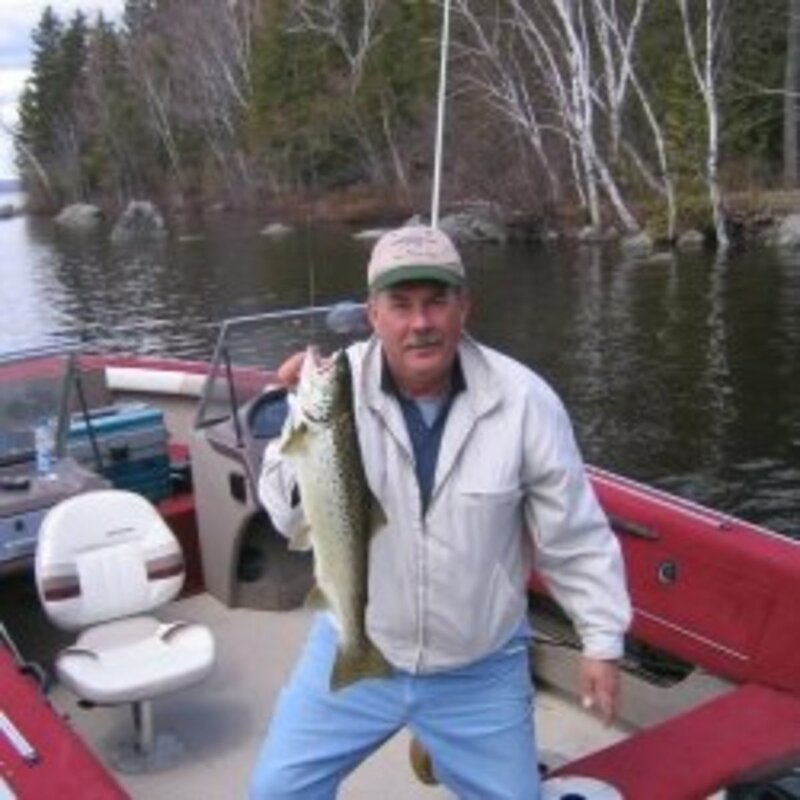 Our favorite techniques include trolling specialty lures called the Mooselook Wobbler spoon, trolling streamers and flies (and either pumping the rod or adding a 'dodger' to increase the movement of the fly), and drifting a live rainbow smelt. All three methods produce fish, through the day's weather conditions often dictate which technique to try. Have You Ever Fished for Landlocked Salmon? Naw, these little things look like trout. I'm going after Chinooks! 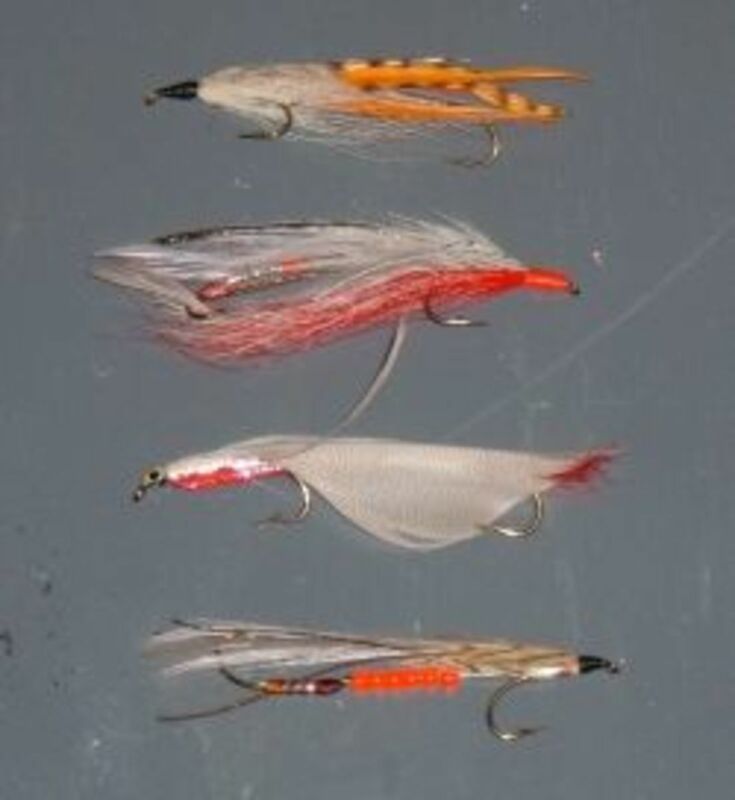 Trolling Streamer Flies: My favorite technique of fishing for landlocked salmon is trolling a streamer fly, and my go-to streamers are either a Gray Ghost or a Pearl Smelt pattern, but always with a touch of red or orange. I tie the fly to one end of a 36" long leader of monofilament line, and then tie a small loop to the other end of the leader. Since my lightweight fishing poles are rigged with braided line, I tie a stainless steel barrel swivel and snap swivel arrangement to the business end of the fishing line. The loop at the end of the leader makes it easy to switch between different streamer patterns -- especially when the chilly spring air numbs your fingertips! The Mooselook Wobbler is a simple but effective spoon for trolling for landlocked salmon. This lure can be trolled slowly near the surface or fished with lead core line (or a bit of weight) to make the spoon sink deeper into the water column. Troll the Moooselook Wobbler slowly, allowing the spoon to flutter in the wake behind the boat. 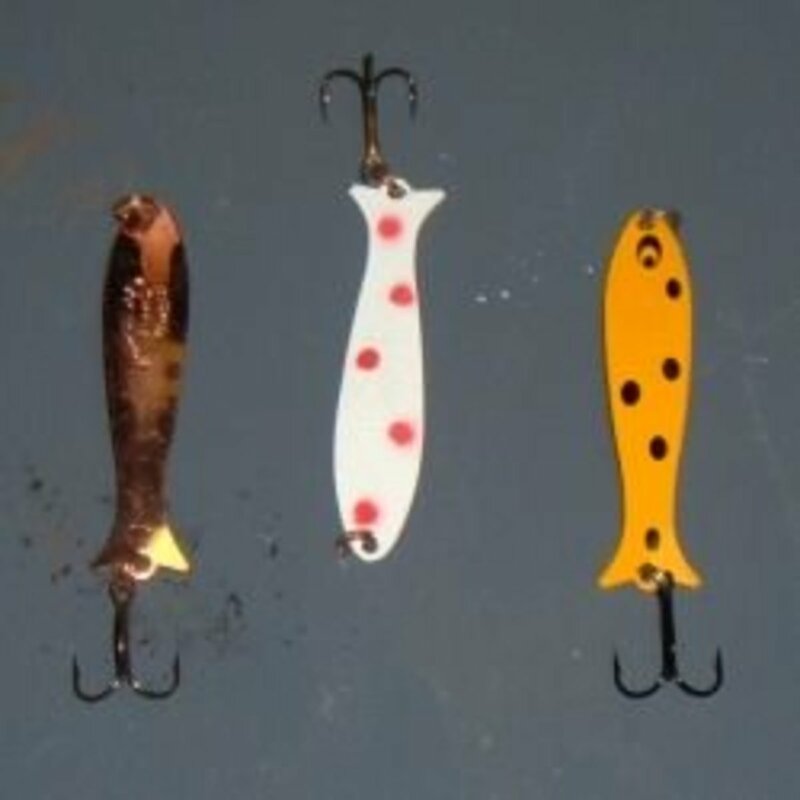 The white with red spots and the orange with black spots are my personal favorite colors of Mooselook Wobbler spoons, and a friend likes to use the copper-colored lure. Try a few different colors on your favorite lake, and see which ones work best for you. During the warmer months, try a trolling a Mooselook Wobbler with down riggers to fish near the bottom where landlocked salmon retreat into the deep and colder sections of the lake. A hungry touge (lake trout) might also hit the fluttering spoon. To troll the streamer and trigger a strike from a landlocked salmon, I use a pumping or whipping motion to add movement to the streamer fly. Drop the streamer over the side of the boat and let out enough line for the streamer to run cleanly behind the wake of the boat (about 20 or 30 yards). Facing the rear of the boat, I point the rod tip towards the trolling streamer until the line goes taunt. Then, I pull the rod into an upright position, bending my arm at the elbow so that the rod tip is now pointing straight up into the air. The short pull on the line causes the streamer to streak through the water with a burst of speed. After a brief moment, I let the rod fall back down into the original position, so that the rod tip is pointing straight out behind the boat again. The resulting slack in the line causes the streamer to settle back down in the water and to flutter for a brief moment, until the next pull on the rod starts it streaking forward again in another short burst of speed. Ideally, the streamer travels just a few feet below the surface of the water, with the streaking and stopping movements attracting the attention of a landlocked salmon on the hunt for prey. Most of the strikes occur just as the streamer slows and flutters, with the pulling action of the next rod pump helping to set the hook. Fish on! Trolling speed is critical for the lures to work properly and attract strikes. The general rule is to troll as fast as possible, while ensuing that the bait is working correctly. When putting out a lure for trolling, watch it carefully near the side of the boat to see how it performs, then either slow or speed up the boat until the lure is tracking properly. If fishing multiple lures are the same time, use lures that track well at the same boat speed. Don't try to split the difference between a fast running lure (such as a crank bait) and a slower working Mooselook Wobbler. Neither lure will perform its best. Troll a variety of lures. Though I like to troll flies and Mooselook Wobblers for landlock salmon, I bring a variety of trolling lures on every fishing trip. If one type or color of lure isn't catching fish, switch to another lure and a different tactic -- including changing your trolling speeds (be sure to match lure to the trolling speed). Let the wind and water conditions determine which fishing and trolling methods to try. If a strong breeze is blowing, I like to drift live bait. Bright sunshine calls for brighter colored lures (the white or copper Mooselook Wobbler for landlocked salmon). Troll darker colored lures during overcast conditions. Use a fish finder (depth finder). One of the most important tools for trolling is a fish finder, not only to help determine the overall depth of the water but to pinpoint primary target areas for trolling such as points, drop offs and weed beds. A good fish finder display the water temperature, trolling speed (accommodating for wind and current) and will show schools of bait fish. Find the clouds of smelt and you'll often find the landlocked salmon! Watch out for other boaters -- even other trolling fisherman. Many boaters don't notice that you're trolling slowly along with long fishing lines stretched out 100 to 125 feet behind your boat. Stay out of marked channels, away from boat launches and other high traffic areas when trolling. Even so, I've lost a rig and a reel full of line to an oblivious boater who cut right behind my boat in open water. We were trolling streamers just after Ice-Out and right off of the shoreline near our East Grand Lake camp. Much of the lake was still covered in ice, and we fished the open water near the edges of the remaining ice pack. As I pulled the rod back during one of the endless pumping cycles, I felt a dull 'thump" as if the fly had snagged on a sunken branch or perhaps was hooked on the rocks. As I lamented to my fishing partner that my fly was snagged on the bottom, he looked at me and deadpanned, "You're trolling a surface fly in 30 feet of water. You're not hooked on the bottom -- that's a fish!" Sure enough, the steady pull gained strength and speed as the salmon on the other end of the line realized that it was hooked. After a short struggle, we netted the largest landlocked salmon that I've ever caught -- a huge male with a bright red head and long, shiny black hooked jaw. 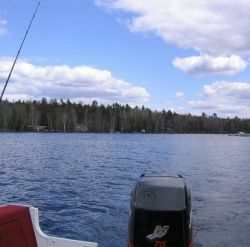 And we were close enough to the camp that the rest of the guys were lined up the dock, watching as I reeled in the fish. The fish was over 26" long and we estimated its weight at well over 5 pounds -- a real trophy for an Atlantic landlocked salmon. I can still see the shocked look on my friends' faces as I carefully released the big fish back into East Grand Lake. Lead core line is perfect for trolling deeper in the water column. Keeping track of the amount of line played out by the different colors in the line helps to pinpoint the depth where the fish are active and hitting. How many colors do you have out? Where Is East Grand Lake? 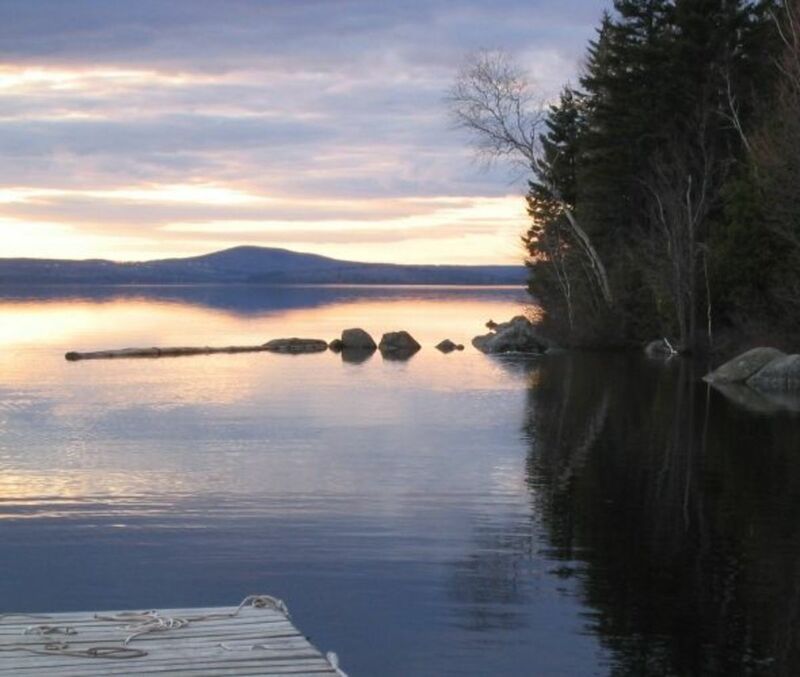 East Grand Lake is located right on the U.S / Canadian border in northeastern Maine, and is about a two hour drive north of Bangor, ME. 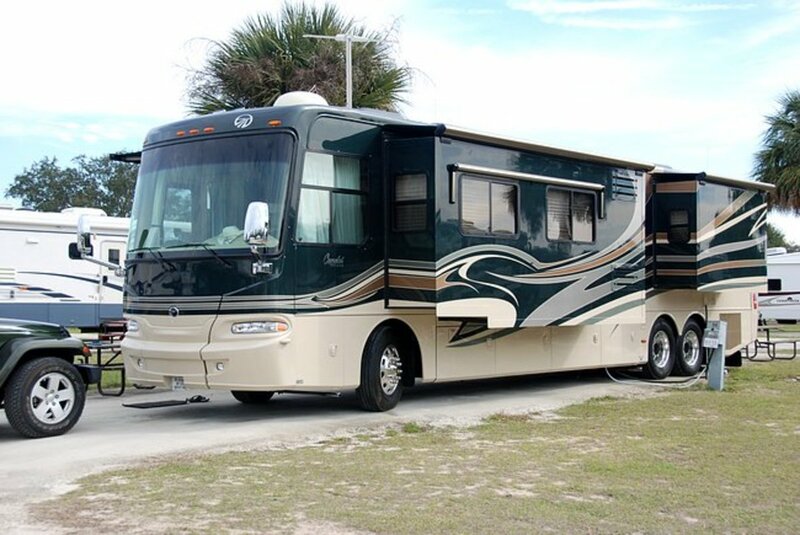 The East Grand Lakes region is beautiful area of the country with miles of forests, lakes and streams. The area has a thriving logging industry with tightly regulated forestry practices, and there are many gravel logging trails to explore (a four wheel drive vehicle equipped with a winch is highly recommended). 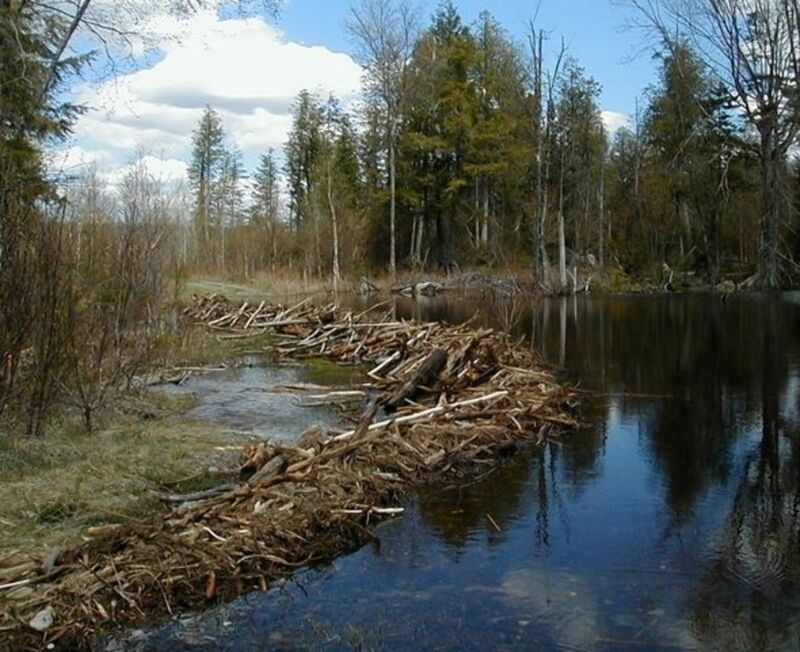 The area is home to a large variety of birds and animals including moose, black bear, white-tailed deer, fox, mink, red squirrels, beaver, ravens and porcupines. 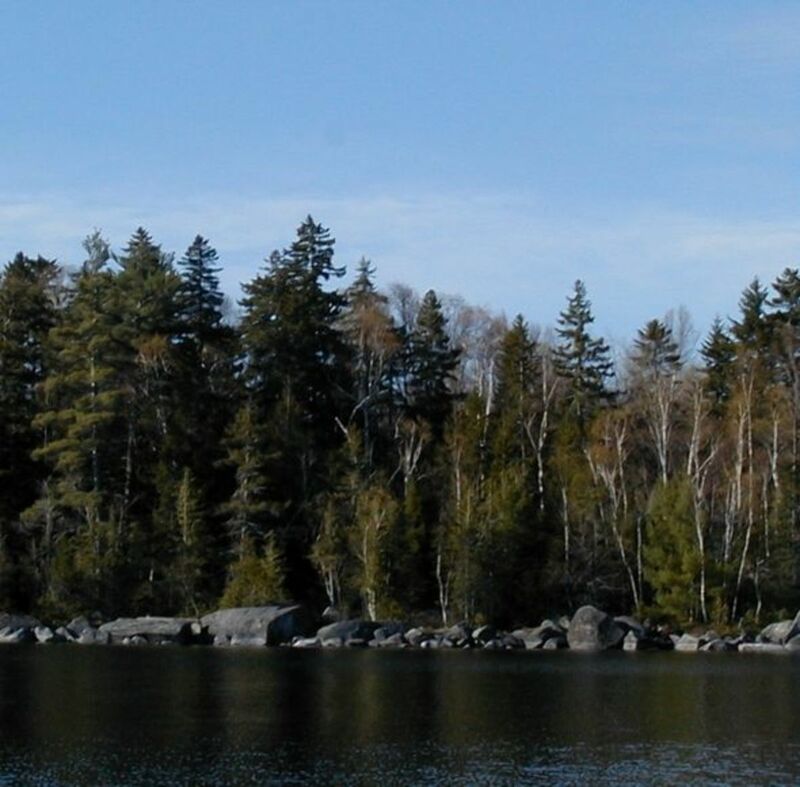 The lake region supports populations of loons and bald eagles, as well as several other waterfowl species including mergansers, black ducks and mallards, wood ducks and teal. 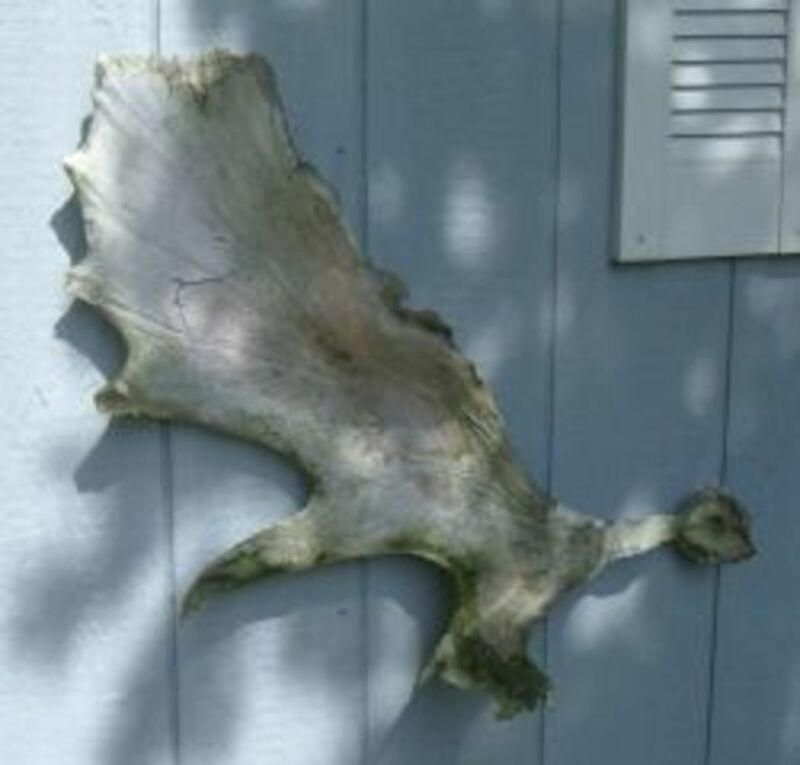 I found this moose antler shed while driving down one of the many logging roads near East Grand Lake. Special Rules and Regulation Apply! Perfect for Trolling Landlocked Salmon: Fly tying is an art, and a hobby all on it's own. This very interesting an informative video breaks down the steps of tying a streamer fly -- and it looks like fun! Have to say the copper mooselook wobbler is the best. Produced the state record for me in 1980. 9 lbs. 28" out of Craig's pond in Orland. This lens does my heart good. I'm so ready for Spring fishing. I have several lures by Lucky Strike Lure Co that look like your Mooselook Wobbler. Great producers. Great lens! 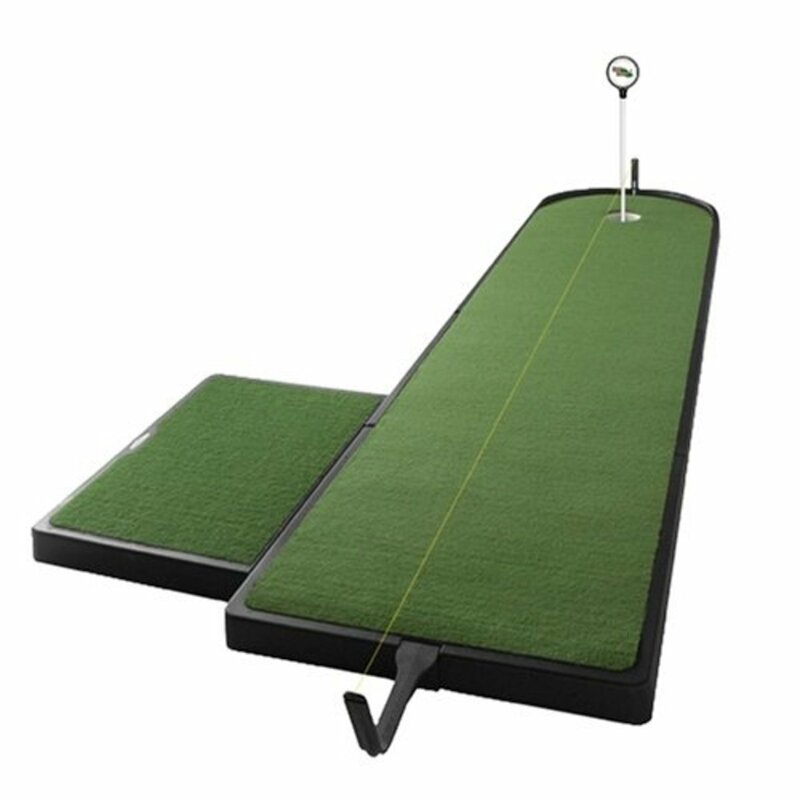 Now I really want to go and try it out sometime!